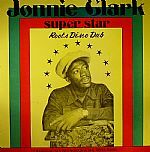 Johnny Clarke - "Love For Every One"
Review: Jackie Mittoo born in Kingston Central Jamaica, grew up in St Annes, attended York Castle High School and Kingston College. He started his career playing organ for the Rivals & The Sheiks. 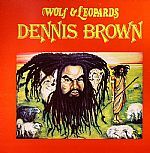 At the age of 14 he became the piano/organ player of the Skatalites, who were the #1 Jamaican Band with hits on the English scene like "Phoenix City" & "Guns Of Navaronne". After the break up of the Skatalites he joined the Soul Bros. who have now been renamed the Soul Vendors. Quoting Jackie, "Thanks to grandma, she taught me to play the piano and organ from an early age of 4". Keyboard legend Jackie Mitto lays it down proper on this release, which also features Sly & Robbie. The Paragons - "Let The Wicked Runaway"
The Paragons & Aggrovators - "Best Dub"